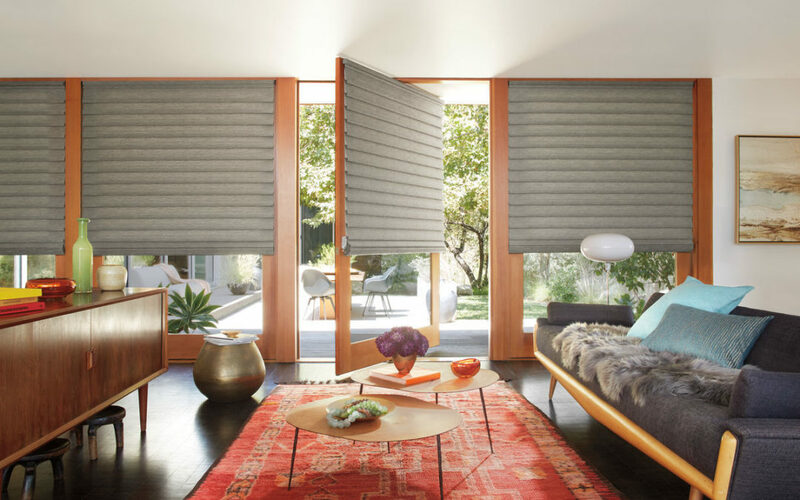 Hunter Douglas Cadence® Soft Vertical Blinds feature patented curved vanes, mimicking soft drapery folds that move smoothly and quietly along their track; ideal for elegant styling and translucency. Alternative wood provides amazing performance. This smart alternative to wood blinds has classic good looks that don’t age. In realistic TruGrain® finishes or a large selection of solid colors, and with operating and decorative upgrades available. 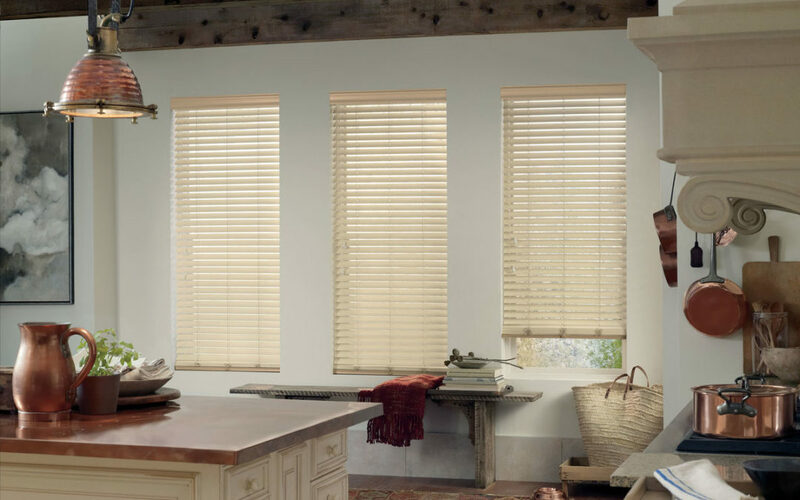 Traditional styling and rich hardwood slats ensure Parkland® Wood Blinds complement the lines of any room. Fashioned to create a warm and inviting home, they’re available in a variety of colors and three slat sizes. Vignette® Modern Roman Shades feature consistent folds and no exposed rear cords, keeping windows uncluttered and safer. Choose from different fold styles and sizes, and beautiful fabrics that are low maintenance and easy to clean.